Wednesday March 27, 2019 - A vocal Jubilee Party MP has said Tuesday’s meeting between President Uhuru Kenyatta and his deputy, William Ruto, will not change the Kikuyu community’s stand on the Presidency of Ruto in 2022. Some Kikuyu community leaders have already resolved that unless Ruto supports the ongoing fight against graft, they will not support his Presidency in 2022. 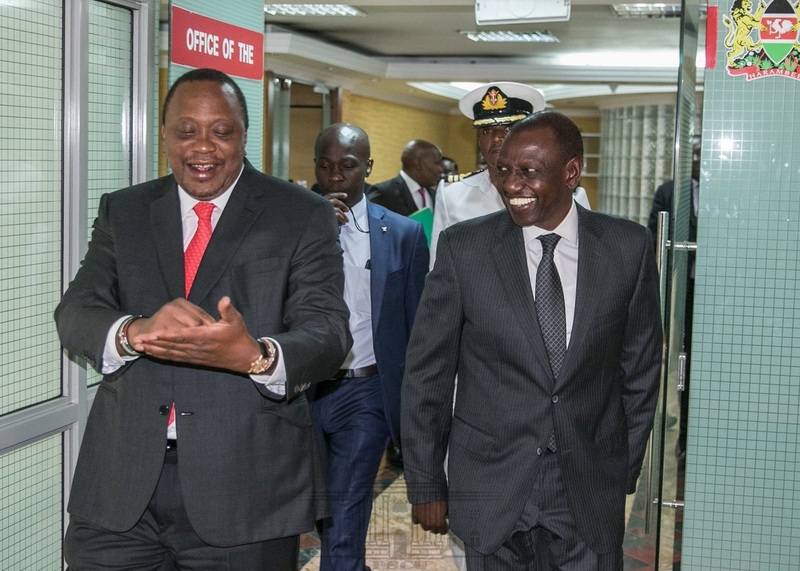 On Tuesday, Uhuru and Ruto met at Harambee Annex where they enjoyed lunch together amid a huge rebellion in Jubilee over the ongoing corruption purge. Ruto and his allies claim that the ongoing war against corruption is targeting the DP, a claim that the President has vehemently denied. But according to Wambugu, Uhuru's impromptu meeting with Ruto will not 'change anything' between them. He also said that until Ruto supports the war against corruption and handshake, Uhuru and his community are not ready to support his Presidency in 2022. “All that I can say is that no matter how many public meetings they have nothing will change between them unless/until (i) Ruto stops his opposition to the fight against corruption, and (ii) Ruto genuinely embraces the ‘handshake," Ngunjiri said.